A bone spur is the result of your body trying to repair itself, it's a defense mechanism. 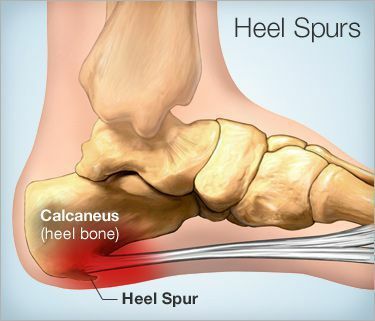 A bone spur develops when the body is trying to an injury by building up calcium deposits. A main cause of a bone spur is osteoarthritis. Another causing factor are activities that add extra stress to the feet. Bone spurs are common in athletes and dancers. In addition, plantar fasciitis can cause bone spurs when the foot tries to repair itself from the extra strain. Wearing shoes that are too tight can also result in bone spurs. Treatment options generally start conservatively. Proper shoes, orthotics or shoes inserts, and stretching exercises are the best way to start treating a bone spur. In extreme cases, surgery may be needed.